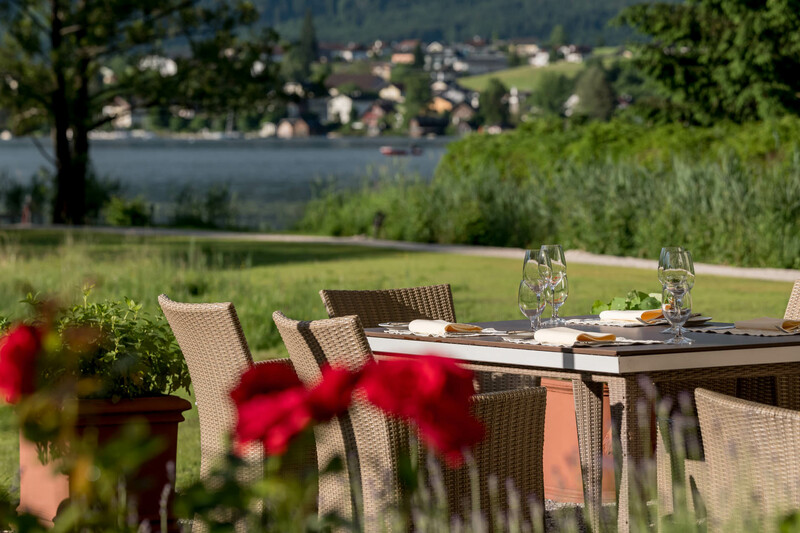 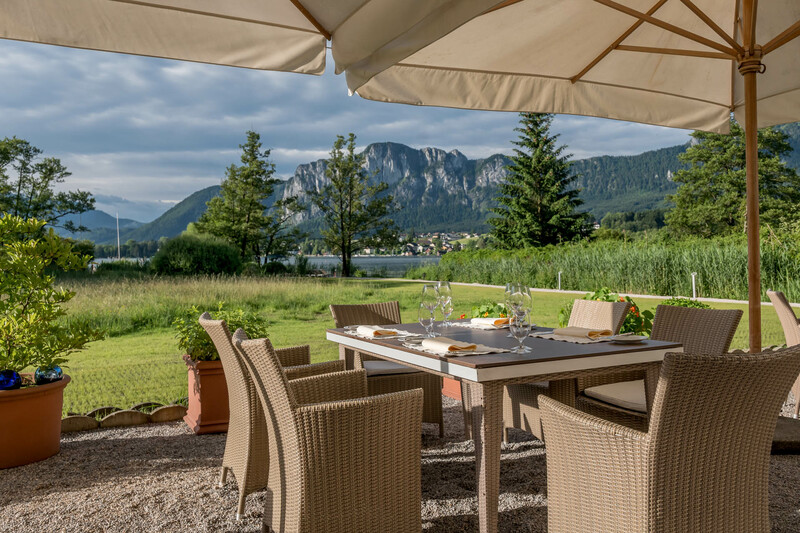 Taking in the view from our terrace by the lake, surrounded by the Salzkammergut mountains, while relaxing with a glass of wine and some award-winning cuisine - that's Lake Hotel Lackner’s idea of a gourmet holiday. 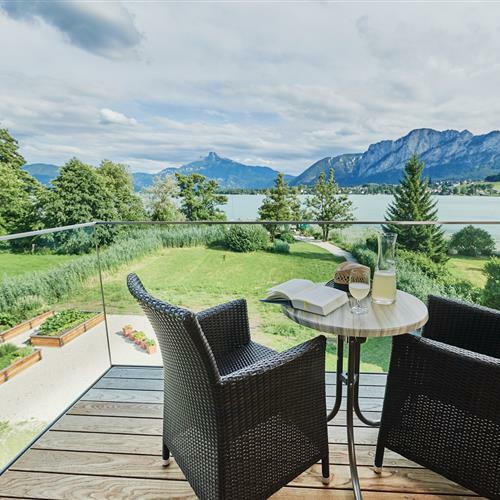 Get your day started with a delicious breakfast, enjoy a snack while chatting with friends or simply bask in the peace and quiet after an active day. 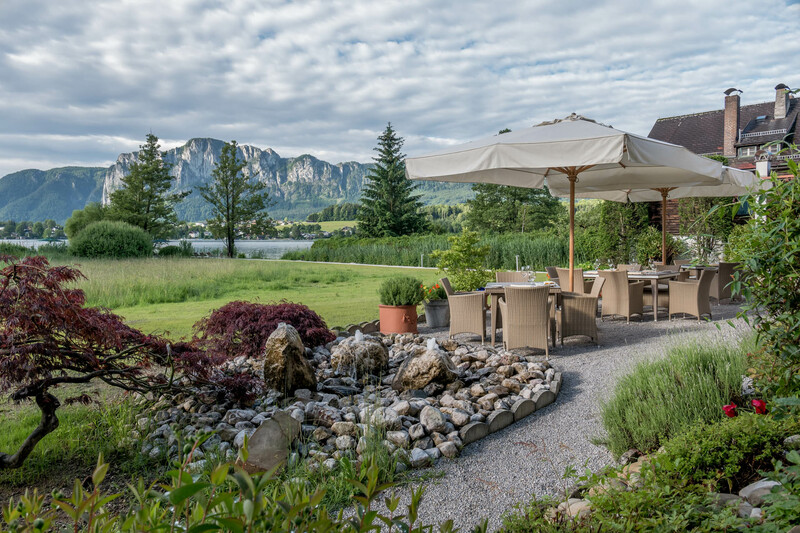 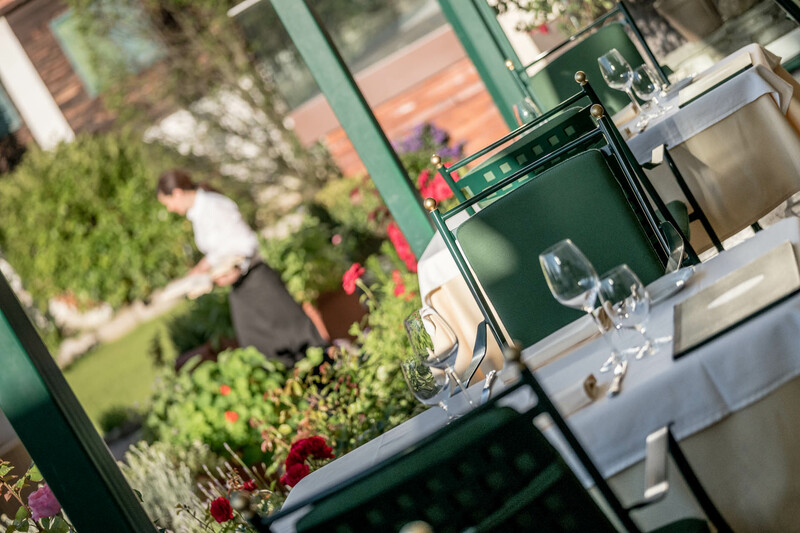 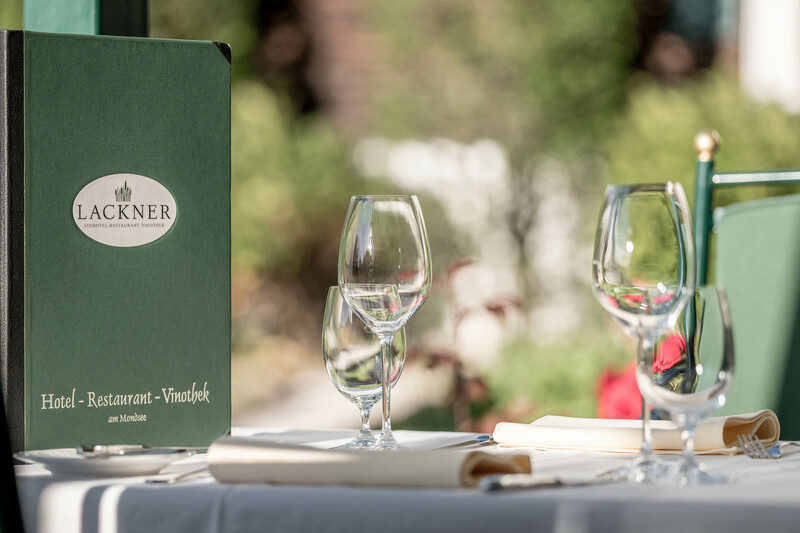 Our restaurant in Mondsee offers a great variety of Austrian and francophile cuisine, helping to make Lake Hotel Lackner the perfect destination for your gourmet break. 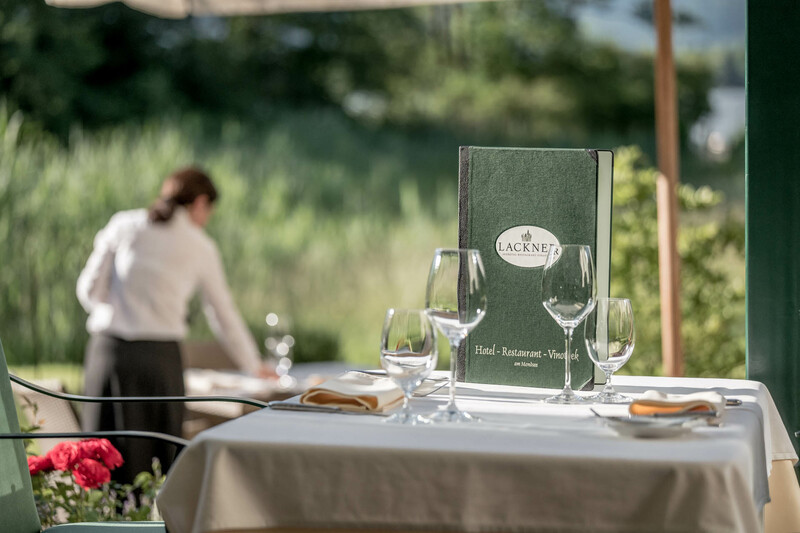 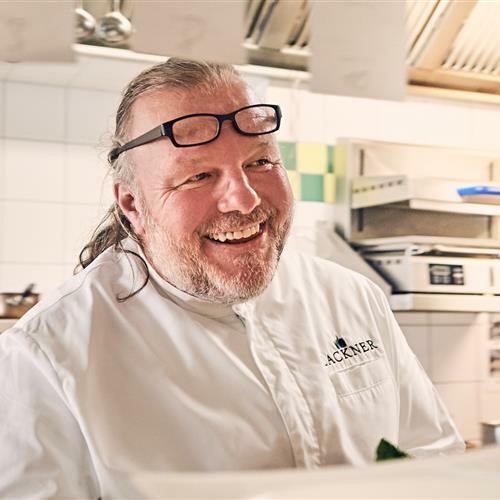 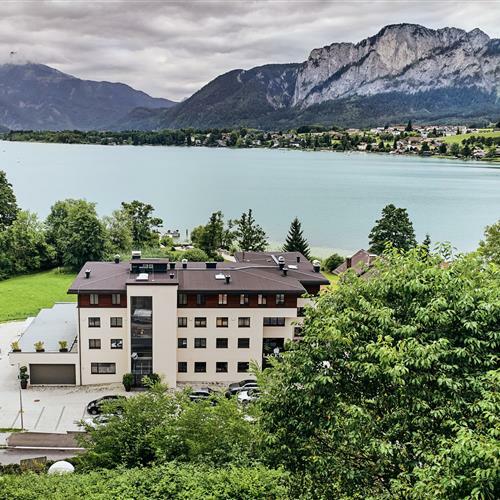 You will be treated to regionally sourced delicacies, such as venison from the nearby forests, lamb from the Mondsee area, and the latest catch of char and pike caught fresh from Lake Mondsee. 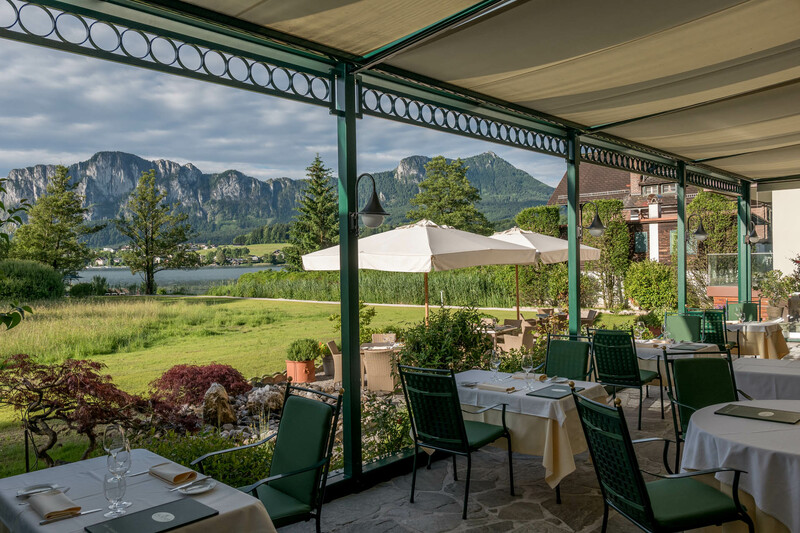 With more than 80 seats and a wonderful view of Lake Mondsee and the Salzkammergut mountains, our lake terrace is the perfect setting for a corporate celebration, family party or even a wedding. 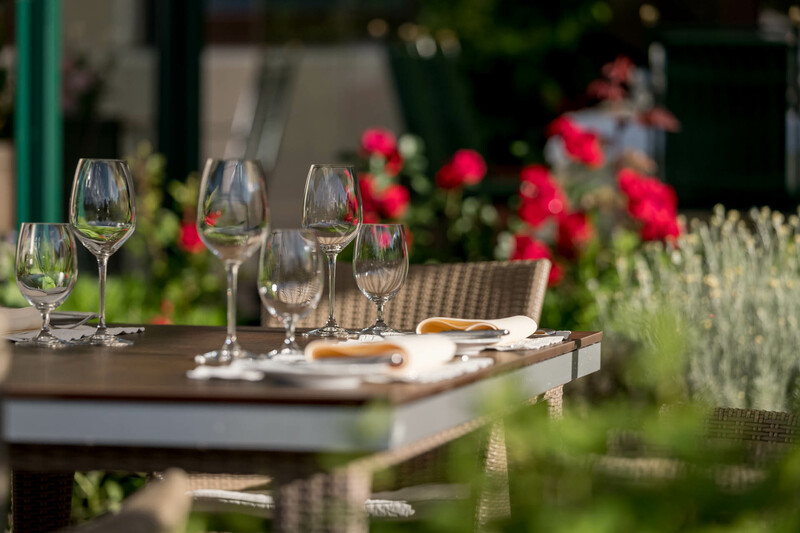 Our hotel rooms are designed and finished to exacting standards and offer a stylish place to stay after a great evening.